Causes of disagreement: I am right and you are wrong! This is a minefield that you have just stumbled into and now we are going to get you! Is the type of attitude that is frequently found by people on chat groups and unsocial media. When they deem something to be a 'mistake.' Rather than overlook a misstep, we look to crush our opponents or those who dare to disagree with our opinion! Why? Because we know more than him! Do you not hear the internal commentary of my nafs? How could he possibly know more than me? Or he belongs to that group and they are all wrong! Only those with knowledge accept difference of opinion. Those without cannot accept difference of opinion. Imam Nasafi (may Allah show him mercy) Bahr al kalam p.10, "Discussion and argumentation in religious matters is permissible in opposition to the speech of innovators that it is not permissible. It is only disliked to quarrel, argue, seek rank and praise in the world." This was for scholars only and not for the average Muslim! You should not be debating on unsocial media like facebook! We have so many Muslims arguing for no reason on the internet. We disagree about what we do not understand, yet we think we do, this is what is dangerous. Debate is a sign of ignorance. Ibn Taymiyyah said that he used to argue when we had no knowledge and when we attained knowledge the argumentation ceased. Abu Hanifah once stopped his son from leading the prayer. When his son asked his father he told him it was because he was arguing with someone and waiting for them to make a mistake. So when his opponent would make a mistake then he would attack him and call him a disbeliever. Discussion: which is normally when things are civil and between scholars. Or two sets of people who respect each other. This is not about discussing but criticising, which were most debate ends or even starts. This is arguing but to defeat the opponent. This related to quarreling, rivalry and contesting. Argumentation: what most people are involved in. Research when the truth is sought and this rarely occurs. This is where there is a difference of opinion and this was a level that the highest scholars used to reach after years of study. There are many other things we can add here but its suffice to say that the list is wrong. What shall you do when differences occur? "When you differ upon a matter then refer it to the ruling of Allah." "Your Lord will decree on the day of judgement on that which you used to differ upon." "Had your Lord will He could have made all mankind one people and you would not differ." "Obey Allah and obey His Messenger and do not argue so fail and your power will depart..."
So its quite clear that disagreeing and arguing are things we should all avoid. How far are we away from the Quran? It was reported in Bukhari that Umar ibn Al-Khattab (may Allah be pleased with him) heard a man reciting the Quran in a manner which he was unfamiliar. So he took the man to the Prophet (may Allah bestow peace and blessings upon him) and complained about what he had heard. The Prophet (may Allah bestow peace and blessings upon him) warned him that other nations were destroyed and differences was the crux of their destruction. There was many differences of opinion in fiqh of the companions. We often cite them as a community that agreed on everything but the fact is that they disagreed but still respected each other. Uneducated Muslims giving their own opinions. Pushing opinions down peoples throats until they vomit the colours of the argument. Defending one's teacher or defending ones group. Defending or explaining things to those who have no terms of reference. Debating matters of belief (aquida) and fiqh (jurisprudence) - without being aware of difference of opinion of other schools and even one's own school. Egos - the unmovable object meets the unstoppable force on unsocial media. During a heated discussion opposite views are put across. Neither wants to budge or be fair or see the other persons point of view. So there we have two stubborn sets of people bashing heads like a pair of bulls locking heads. Swearing and sins inevitably occur because that is a result of disrespect. Lastly, physical altercations occur and I know this is quite difficult to stomach. In the end it causes much more friction that it solves and even seeking clarification on a matter does not work out. The question is often innocent but its received with such hostility that it causes a lot of harm. Why not just say I do not know? I have heard of stories of people threatening people with guns! You have lost it if disagreements are going to be solved with that! Why are we so bothered about what we are not supposed to do and not bothered at all about what we are commanded to do? Imam Malik (may Allah show him mercy) said saying I do not know is the shield of the scholar. So what about the average Muslim who has very little if any knowledge. Why does he think he was better than someone who was one of righteous early community! Yet, the professional facebook augmentative person never admits that he does not know! The last great Ottoman Caliph Abdul Hamid the second said, "I never fear a learning man in day of the week. I only wish to avoid those fools who consider themselves scholars after reading one passage of the Quran!" The people who disagree are those without any formal training or learning. Except group slogans, repeating nonsense of their favorite speaker and so forth. How Sunni Islam has been effected by Wahabism click here. We need to know that there will always be disagreements. This is the normal course of things but what we should do is not allow that to divide us. Rather, we should respect the difference of opinion of the other side even though we disagree. We agree to disagree and leave the rest of the matter. How many disagree for the sake of our own egos and rarely is it a noble purpose. There is often more than not there is more than one position on many matters. Yet, the main points of the religion are agreed upon and minority opinions means nothing when the majority agree. You should follow the majority opinion of the schools of fiqh and aquida. We leave the rest alone and it does not concern us. Many scholars have said not to read anything written in the last two hundred and even five hundred years! Why? The majority disagreements, that are apparent in this time, are mentioned in the books of the last few hundred years. So avoid them at all costs and allow people to disagree and you relax by doing something rewardable. In essence, there is no reward in an average person arguing. It is not the job of an average person to defend anything rather he defers to scholars. In our time, this undermines scholarship, because they are pumping up their own opinions. Both Sunnis and Wahabis are wasting their lives debating. It's actually haram for the average person to be debating. Why? Because he might reject that which may take him out of Islam. So it's a serious matter but you are not encouraged to anything but argue by the uneducated speakers who rant on minbars! Often one cannot take back their mistakes. I do realise that there are lot of uneducated speakers and often there are people more knowledgeable in the crowd. But the masjid committees are scared of knowledge people, so do not allow them to speak. Even then speak to them one on one and in private. If they do not follow up on it then leave it. That is only for someone learned and not the average person. This is when two people from opposite groups argue. Both are committing sins and could commit acts of disbelief without being aware. Hence the sin! This is a sadly frequent sight. When someone argues with a scholar and he is not willing to accept the scholars opinion. Partly because he does not understand it and so he rejects. When a scholar tries to explain something to an average person but fails and it leads to an argument. Some scholars give compile information that cannot be grasped easily. This is when big personalities clash and their students go to war. Or when big egos are on TV and need their ego massaged by being 'right.' There is no good in being humble to such people. Bad character is not sunnah. Well, we need to study the religion because ignorance is the main cause of disagreement. The more knowledge one has the less you argue. It is as simple as that. I can remember my own journey as a student. We used to argue on a daily basis but after a few years all those disagreements disappeared. Until we all sat in silence. So study your schools until you have no doubts. This will cure your own doubts. There will always be people who disagree but allow space for others to disagree. Rather than shove your opinion down their throats. Explain the correct one and leave it on the table, for them to take or leave. Avoid debates on unsocial media but refer to other sources. Or to whom you know that the answer can be taken. Put up links to explanations rather than fight with each other. Know that many famous opinions are not correct and you will be surprised. When someone disagrees with you then do not allow it to cause discord. Most arguments become defensive because of feeling slighted and thus they do not listen to advice. Ruining their good actions like putting filth into clean water. So apologise for your wrong doing and make peace. Avoid things that break ties from people. Know that if you disagree with a scholar then do it in manner that your bad manners does not reach them and do not backbite. If you do it to their face, backbite or slander them. Know that you have committed sin greater than what you misunderstood. They are a scholar and you are not, therefore he is more likely to be right than someone who has no studied: i.e. you! So give him the benefit of the doubt and look into the matter that you disagree with. Or ask them about it. But most people prefer to slander scholars on websites. Know, anyone who does this needs to stop using the internet. Backbiting and slandering a scholar is like eating poison but how people are used to drinking poison in this time! Backbiting is like eating decaying flesh and no wonder people are putting on weight! Know that if you slander someone in public like facebook then you will have to repent on facebook. You cannot do it in the messages section. Remember, when you insult a speaker that someone respects, it causes them to disrespect you and they do not lose respect to the speaker. Especially, when they like the personality who you are speaking against. 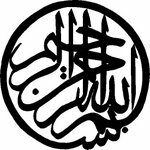 Aquida Tahwiyyah point 72, "We do not dispute about the religion of Allah." This is a simple point from a primer of belief that is not practiced at all. If only we studied, then we would not be in the mess we are in. We would understand what we need to do. Let scholars correct scholars (click here) and you amend your worship with Allah (the Exalted), because you will not be asked about the work of the scholar. But if you involved yourself into something that was not your business, you will be responsible. Read forty hadith on the rights of Muslims please click here. We decided to write this because we see many comments by uneducated people full of wrong information. They have not understood something, half understood something, deliberately misunderstood something, spreading ideas of their group or of their Pir/sheikh. The average person is not tasked to correct scholars when they do not understand the basic points of religion, yet are ready to challenge scholars? This is not the way of Sunni Islam rather it is the way of those who are opposed to Sunni Islam, the Wahabi's and Ikhwani's. Abu Sa’id Al-Khudari (may Allah be pleased with him) said he heard the Messenger of Allah (may Allah bestow peace and blessings be upon him) say, “Whoever sees a reprehensible action should change it by his hand; if he is unable, then with his tongue; if he unable then with his heart, and that is the weakest faith.” Muslim. 3) The heart – normal people. It is up to scholars to correct scholars not the layman. (Click here for previous rant) The layman often cannot distinguish between what is lawful or not. How can he distinguish between scholars and who is right? Difference of opinion is only accepted by those with knowledge. This is why may people without knowledge argue with others, based on their misunderstanding. Facebook is full of people who are spreading incorrect information and disagreements everywhere. Yet, if you were to talk to them to clarify, they would attack you. This is pure wahabism: my opinion is the best and over all the rest. I will say this again. It is not the job of the average person to debate and argue with other groups. Your job is to refer to others of knowledge and not refuse those with knowledge. Therefore, those 'super' Sunnis attacking everyone on websites and unsocial media are committing sins with each keystroke. Slandering and backbiting are just two and spreading incorrect information is among them. As for myself, what about you? Seen as you asked I have permission to teach from my teachers. I have been blessed to study since 2002, when most of you where still watching cartoons! So do not think that you have any basis for disagreement! Commanding the good is about what is Halal and Haram. I.e. commanding the good that agreed to Haram or Halal, without disagreement. The average person is often unable to distinguish as they often fall into Haram, because they are not aware. Yet, we have millions of people giving religious opinions on everything, especially on things they have not studied. Then attack scholars who try to clarify things they are arguing! Heed this lesson before it is too late. As the street slang, states 'check yourself before you wreck yourself.' Learn your basics before its too late and if you want correct scholars then study what they had studied and we will talk to you in a few years!